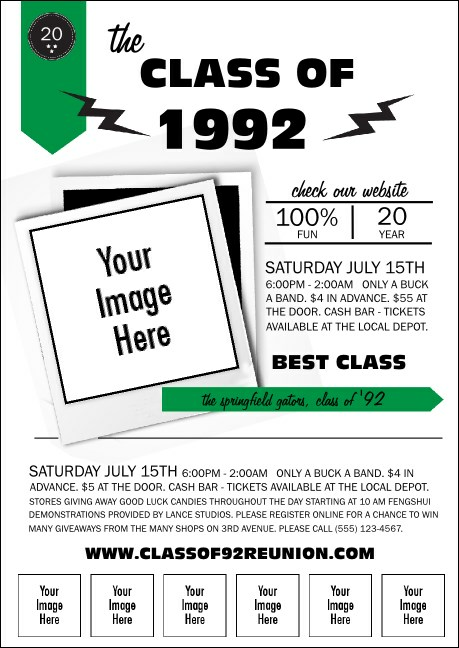 Get the old gang back together when you print Class Reunion Mascot Green Club Flyers and send them out to your former classmates in advance. Celebrate the anniversary of your graduation with Club Flyers that feature a no-nonsense green and white background and space for you to upload your own image. Take a class in advertising at TicketPrinting.com.